The Castro Podcasts app from Supertop is the best podcast app for iOS by far. One of the reasons is because it has a side loading feature that lets you use Castro’s queueing and player features with any audio you have. It’s great for bonus episodes from kickstarters, DRM-free Audiobooks from the library, draft episodes of your own podcasts that you want to play through before releasing, and you can use the share sheet to “Copy to Castro” files from other locations in Castro and it’ll import them to that iCloud Drive folder then they’ll appear in Sideloads. 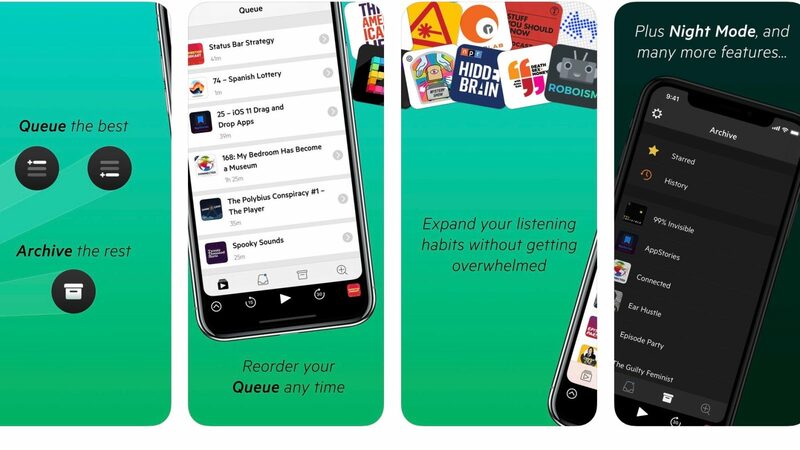 The Sideload feature makes it possible to listen to audiobooks really fast, because you can use all the podcast listening features like ”Trim Silence”. There is no audiobook player app that can do that. That feature alone makes it possible to listen to audiobooks a lot faster. Yes I know that Overcast has an uploading feature that makes it possible to upload audio files to Overcast servers. I don’t like that. I want my files on my own iCloud account and nowhere else. 1. Newly published episodes land in the Inbox. Read the descriptions, queue the good ones and archive the rest. 2. The Queue is a central playlist where you organize your next few hours of listening. Queued episodes are automatically downloaded. 3. Press Play. Castro plays your queue in order from top to bottom. Reorder or archive queued episodes anytime. 4. In the Archive you can find the back catalogue of all shows you subscribe to, browse your listening history, and easily access your starred episodes.